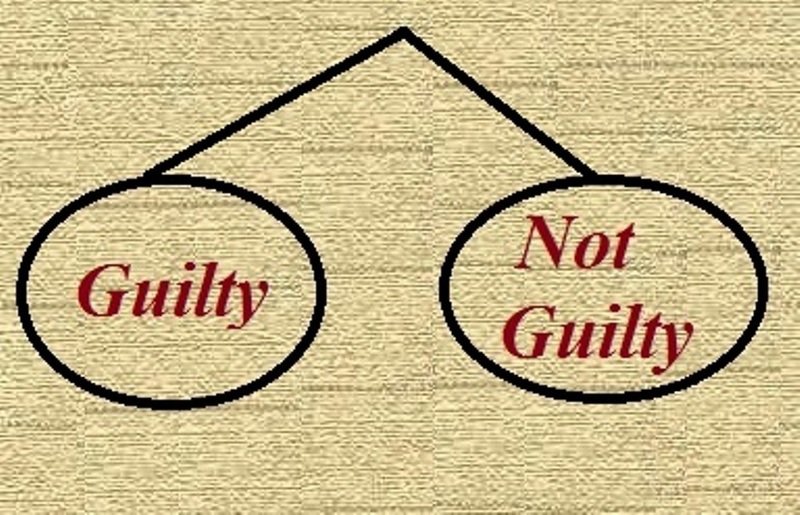 The Dove's Corner: Somethings that Matter # Guilty or Not Guilty ! Ishita Katyal, a 10-year-old from Pune, has become the youngest Indian to speak at the TED Youth Conference in New York, the Brainiacs meet “, and from what she said there and of what I read of it in the Times of India, …turned out to be something of a final nail in the coffin -in establishing my own doing in a crime of sorts. 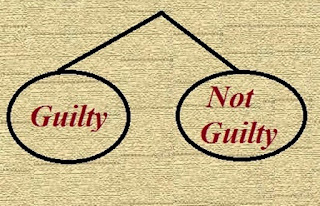 Till then I was still an under trial, and being my own Judge, kept feigning blissful ignorance around facts of the case. However after listening to her, and with deeper contemplation, I have decided to better own up. Yes, I am guilty of this one, at least at some point in my journey as an adult and as a parent, definitely I have been…! These lines from , the renowned musician, poet and political activist again reminded me of the offence; and my growing concern around how many perpetrators may still be thriving unaware and scot-free and that their conscience needs to be shaken a bit, prods me to write this one! Ishita’s message was simple: Put children first; give kids a chance! And the details of the crime, I were guilty of and not anymore, is no more than asking our children time and again, the so heavily loaded sinful question, “What do They Want to Become When They Grow Up”? And if you again read every line and every word of the excerpts of what she said above ;it not only sums up all the research and trillion dollar worth findings and work being undertaken across the globe - be it in psychology , neuroscience, behavioural techniques, life coaching, spiritual and mindfulness schools…or any other discipline ; but perhaps it even goes beyond and ahead of what they still have to conclude – that ‘put children first, and first in their present moment-; not so much in their future designed from your Adult imagination’ - and you automatically have a better world – better adult, better leader , better millennials , better relationships- better and best of whatever maybe on your radar right now and forever ! As much as we strive to make great leaders and happy adults out of our kids, and talk so much about passion and following our dreams, and letting children choose the career of their choice, do we realise that this question in itself is such a killer virus that it curbs the very spirit of free imagination. “When a child starts to learn how to walk and falls down 50 times, he never thinks to himself, “maybe this isn’t for me”. He has no fear, no inner boundaries, he is willing to test waters with every risk and pleasure, every win and loss; and explore the unimagined ! However, the moment he is well into walking and talking, we jump in with our curiosity to ask him , “So kid, what do you want to become when you grow up “? If you stop and think about it, it's pretty amazing how early we start talking with children about their future career choices, very often, as soon as they are just 3 or 4 or latest 5 ! And that is the crux of my concern …why tie the loose ends of their free self into tight knots so early…! Some more enlightened ones think that by asking them and not actually giving them a final verdict of our own, we are giving them an early opportunity to plan a future of their choice.., well good intent at that , but no brownie points here as well – because for all your pretended generosity , you are very cold bloodedly forcing a child to take away all the glory from his own present intelligent capable being – and instead put his intention on a remote future – and that too by picking up his favourites from a motley bunch of few celebrated ones! And hence, this question inevitably creates a tunnel vision. It can even go as far as affecting one’s ability to see themselves any different ever. It’s like asking a kid’s internal time machine to stop the clock then and there, and fast forward all imagination, all creativity to a future world and predict it based on handful of outdated inputs. And his present unique self, starts dying a slow death – which otherwise if left to blossom in the moment unhindered, had the infinite potential of carving out a unique present and a unique future - one of his own true identity! The underlying assumption in stuffing these inputs in their minds is perhaps the fact that we adults think, children are not as intelligent and its best to show them ready-made models to imitate. Well for all the intellect coming from great Leadership and Spiritual thinkers ; who nowadays bask in the glory of highlighting superior qualities of kids and preaching all and sundry to- “Be like a kid” - because enough research has established that kids have in them worthy attributes , and are far ahead , be it in their quick learnability, their adaptability , their selflessness, their resilience, truthfulness , trust– all of which we would so much like to be the traits of a modern leader ; – I would then like all of us to give it a thought to what aare we actually doing here – we are first killing the spirit of the kid and then asking an overgrown over conditioned adult, to take up the near impossible task of again becoming one - wow, that’s some great stuff , isn’t it! So kids are more intelligent, period, and the likes of Ishita Katyal, and many more, are already showing us the way the world over…Now to avoid the risk of some adult corrupt minds here, misinterpreting my message and already planning to curb their childhood further, by tapping their intelligence and directing it for being utilised in high yielding boardrooms or parliaments or perhaps advisory boards of corporates, - I say hold on, I have no appetite for being held guilty anymore! I am only exploring the possibility of us consciously framing our questions and dialogues with kids in a way that we don’t in any way kill the spirit of dreams and passions and individual identity! 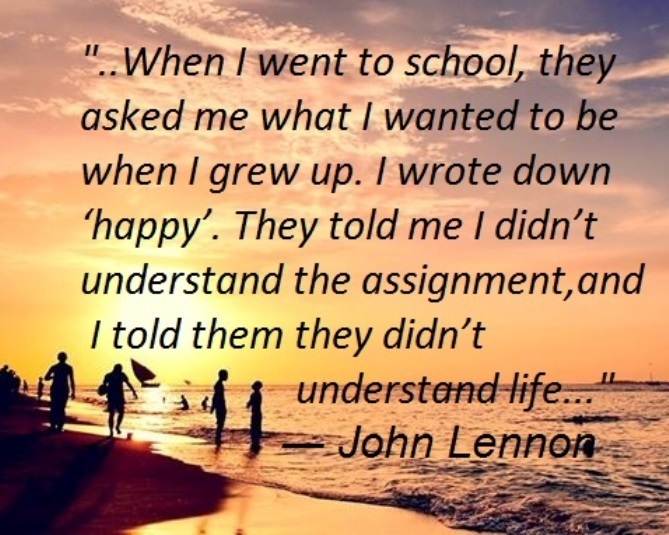 And before telling adults to “value living in the present moment and become mindful”, let us first let the innocent kids live their present fully into it, laughing and kicking, and imagining and dreaming….to their heart’s content! Let's stop being guilty; let’s try to be the change we want to see in the world and let’s start by banning the age-old question, "What do you want to be when you grow up?" Come on, I am sure we are capable of better conversation, and though it sounds like an innocent question, and I know that people who say it don’t mean any harm (case in point: me), nevertheless, I dream of it being retired from our socio-cultural lexicon. Apart from what has already been written, another disaster caused by this question is the fact that the expected answer to it is always a type of job, it reinforces the idea that the way to find identity and value is through career. Our society is already saturated with messages that the title on your business card is directly connected to your worth as a human being. This question again trains one and all to view adult life through the lens of their place in the workforce. And being constantly encouraged to ponder their future career - it channels kids’ discernment efforts away from whether they wish to lead a happy life first, and my take further is that people in this society—children especially—need all the reminders they can get that they are not defined by their careers. But there has to be a way out…we can’t curb our curiosities altogether, can we? So I look forward to views on this… Rather than asking, “What do you want to be when you grow up?” perhaps we should ask, “What are you passionate about, what do you love to do..”. The beauty of building children into great beings , after all, is that it’s the little things we do every day that mould them into the people they’ll become - unshakeable faith that they have in their care-givers !